When I came up for the idea of this topic, I was originally a little hesitant to write an entry. Unlike A.D. White or Dear Uncle Ezra, there are probably a number of readers who can remember when Sagan was alive and active on campus (Sagan passed away in December 1996). 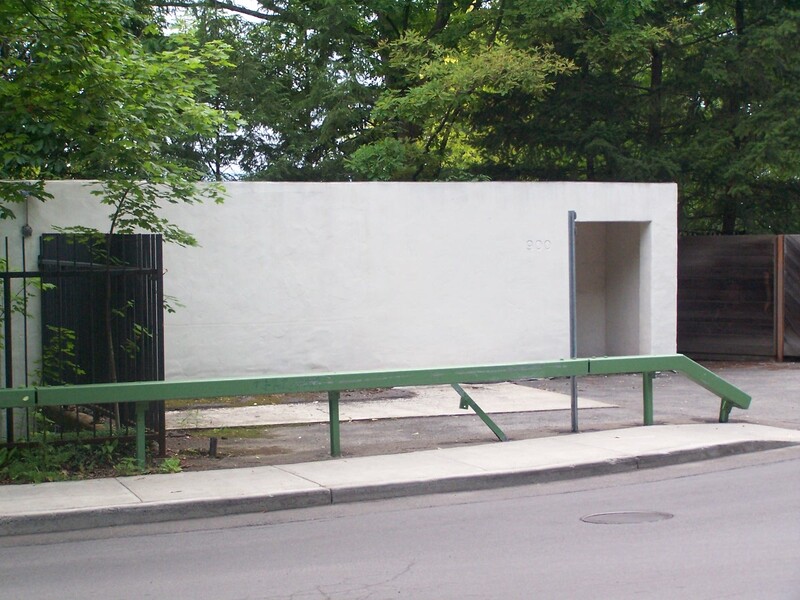 If the number of hits I receive for his old house at 900 Stewart Avenue are any clue (~600 hits since this blog’s inception), the late astronomer and Cornell professor remains a relatively popular figure. As someone who was just a kid when Carl Sagan passed away, it’s a little harder for me to identify, and in Sagan’s place, figures such as Bill Nye and Neil DeGrasse Tyson fill different niches not-too-distant from Sagan’s public role. With all that in mind, I decided to take an approach similar to what I did with my “Founding Fathers” entries, and provide a smorgasbord of tidbits. I have no intention of delving into his interests of extraterrestrial life, agnosticism/humanism, or marijuana use, but the wikipedia entry would be a fine substitute for those interested in those topics. -First off, the basic facts. Carl Sagan arrived at Cornell in 1968. We should only be so lucky that the high minds of Harvard decided to deny him tenure the previous year, because they were unhappy with his “pandering to the public”. Sagan became a full professor of the astronomy department in 1971, and remained so (the David C. Duncan Professor in the Physical Sciences) until his untimely death from pneumonia while recovering from cancer a quarter-century later. -Carl Sagan might have been an excellent publicist for science, but few would call him a focused academic. The filming of his Cosmos television series in Los Angeles in the late 1970s forced the university to cancel several of his courses, and several grad students under his advisory had to move into the research groups of other department faculty. His astronomy colleagues were unimpressed with this shirking of duties and attempted to have his lab kicked out of the Space Science building. -Things were not a whole lot better upon return to campus, the blessing and curse of the success of his television series and associated NYT bestseller. While Sagan garnered much favorable publicity and considerable wealth, he was also subject to death threats from those in vehement disagreement to his views. Police regularly patrolled his home, and his name was removed from the Space Science directory and from his front door, out of safety concerns (this policy must have relaxed late in his career). Some of his colleagues remained unenthused about him, accusing Dr. Sagan of being an egotist, blurring the lines between fact and fiction, and failing to give other scientists due credit. -While at Cornell, Sagan began a critical thinking course (ASTRO 490). This course was under his guidance until he was hospitalized in 1996, when other faculty filled in. The course was discontinued after his death, but was brought back under the tutelage of other faculty a few years later. Under Sagan’s time, the course could only be enrolled into after completing a rigorous interview process for one of the 20 available slots. -On the note of Neil deGrasse Tyson, Sagan tried to recruit him to do his undergrad at Cornell. Unfortunately, the future Dr. Tyson chose to go to Harvard instead. Bill Nye had Sagan as a professor, so perhaps Sagan has had more of a hand in the science communication to Generation Y than we realize. -One of the more whimsical tales of Sagan is that during the height of his popularity, he had a secret tunnel from his home to campus, where he could drive his Porsche away from prying eyes. In reality, he would walk some of the back-trails along the gorge. -Another reason to seek anonymity – Sagan used a vanity plate inscribed with “PHOBOS”, a Martian moon. These vanity plates became a hot souvenir for anyone with a screwdriver and ten minutes, since 900 Stewart has no driveway or garage (rather, it has a deep curb). Sagan eventually caved and asked the DMV for a more anonymous plate. -I’ve already covered Sagan’s home a couple of times previous, but a quick rehash – built in 1890 as the meeting place for the Sphinx Head secret society, who sold it their neighbor, Dr. Robert Wilson, in 1969. The building went relatively unused, and was once again, this time to Dr. Stephen Mensch, in 1979. Mensch renovated the property into a home, and actually allowed Sphinx Head to make occasional use of the property. Sagan acquired the property in the 1980s, and the house is still a part of his estate, though it is vacant. According to a 1993 DUE, Sagan likely did not live in the property towards the ends of his life. Although vacant, it would be ill-advised to try to trespass – the property is covered with security cameras, one of which is right above the entrance-way (the not-visible corner in the below photo). On a personal note, when I had taken the photos of the former Sagan residence, I had not known this was his home. I just thought it was a highly unusual building in an area of mostly early 20th-century homes. It was not until I typed the address into my search bar when I came home that I discovered the building’s significance. Back in the day, before the internet, TV and even radio, the best way to indulge one’s interest was by the printed word. Novels, serials and newspaper articles were much more valued. It was also around a hundred or so years ago, when the idea of college went from the dank halls of seminaries and obscure studies of little practical worth, to a sort of idyllic playground of stories and mischief, casting collegiate life into a much more positive light. 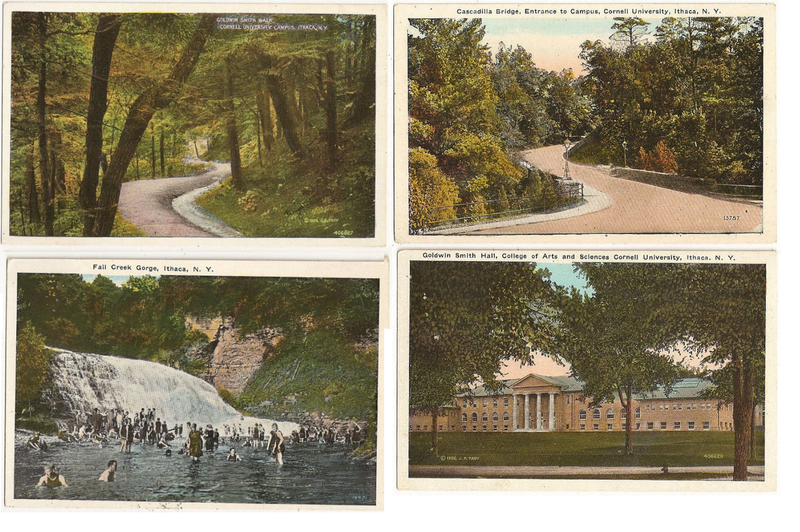 During this time, several publications focusing on the wonders of college life were produced. Perhaps the best known are the Frank Merriwell serials, and his exploits at Yale. There were several other works of various quality produced around the same time. Here, I offer The Cornell Stories (1898), written by James Gardner Sanderson, Class of 1896. The stories are light-hearted and fictional, but the setting and the descriptions conjure up images of a simpler, slower time, the Ithaca of a century ago. Here’s my recommendation – make a cup of hot chocolate, settle into your favorite chair or couch with a blanket, and enjoy a good read. 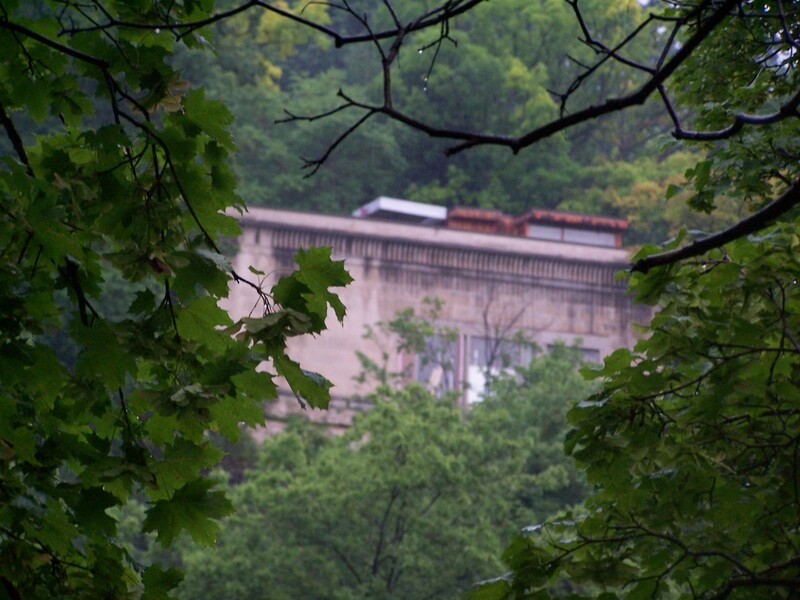 Frequent readers of this blog are aware that I cover two things – Cornell (its history and physical plant) and new projects and real estate development in the Ithaca area. Now, I’m not going to say I’m beating a dead horse with the former, but I would be lying if I didn’t say it hasn’t been easy coming up with new topics to write about, that aren’t widely available already (ex. the Willard Straight Takeover of 1969), or previous written in this blog. Fortunately, Ithaca has been undergoing a veritable boom in construction. 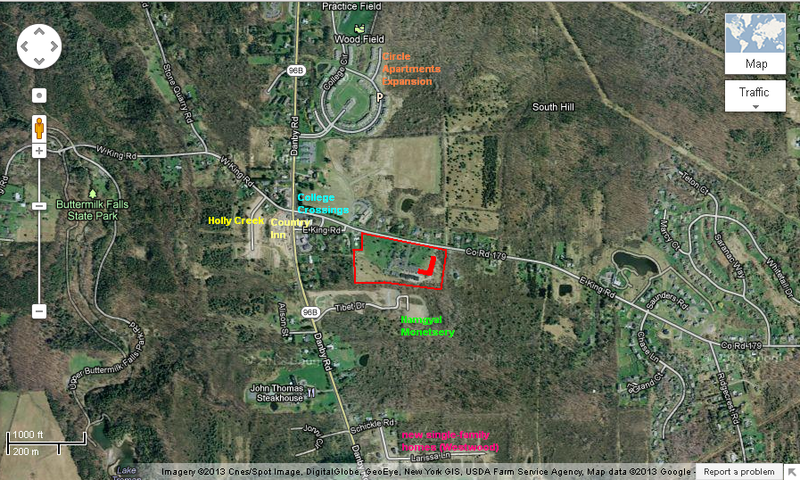 Just today, I checked the town of Ithaca planning board notes to find yet another multi-unit housing project proposed – “Hawk’s Nest at Springwood”, a 3-story, 50-unit building to be built at the Springwood Townhomes area just east of the intersection of 96B and King Road. The project will be marketed to the 55+ crowd. This area has seen a cluster of (mostly suburban-style) development in the past few years, with the Holly Creek Townhomes, College Crossings, the Namgyal Monestery, The Country Inn and Suites, The College Circle Apartments (IC) expansion, and a number of private homes. Which, counting that all of the top of my head, gives 184 more beds at IC, and 74+ other housing units. Quite the little burst of activity south of IC. So, considering the question in a previous entry about historical construction trends, this latest development pushes the private residential units number from 2011-2016 over the 1,000 mark, nothing to sneeze at when the total number of units in the entire metro is just under 42,000. In considering the planned developments north of Ithaca, and single-family homes, the number of units planned in those five years could very well be in the 2000+ range, a proportion highly unusual for upstate New York, and probably only comparable to the Albany metro, where a massive computer chip factory has been underway. Now, time for the Debbie Downer – I have no expectation all these projects will come to fruition. In the past, several projects have been downsized, modified, or cancelled. Take Ithaca Gun, a project constantly being re-evaluated due to rapidly increasing costs associated with the site cleanup. The project started off with 160 units, but neighbors complained. It was decreased to 80, then 33, than upped to 45. The final result seems to be a shot in the dark. Because of the uncertainty, I did not include it in the unit count. 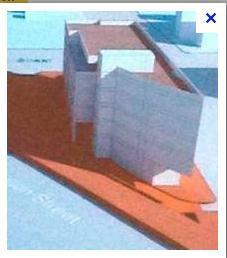 Other projects, both current and old, were modified in the planning. The Trebloc Building downtown was originally supposed to be two floors (and I will personally donate a very nice bottle of Finger Lake wine to any developer who proposes to knock that abomination down and replace it with something more fitting). Cayuga Green, covered previously, has been redesigned four times. 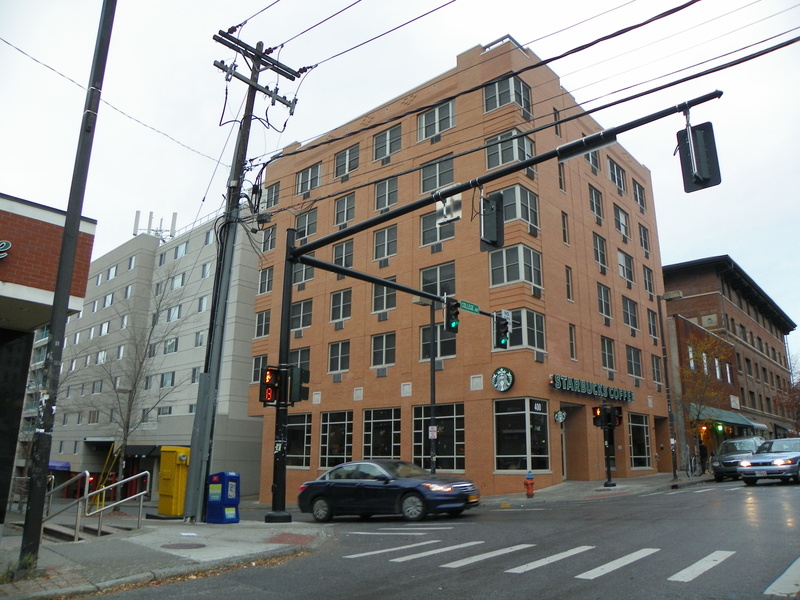 Collegetown Terrace has undergone at least one major revision and a couple minor ones. Some projects never see the light of day. The McGraw House, an assisted living facility downtown, considered an expansion in 2009/2010. Then they shelved it. A 400-unit development was planned for West Hill (Carrowmoor), but this also appears to have gone stale. Cornell’s West Campus was slated to be bedecked in Collegiate Gothic – killed by the Great Depression (among other Cornell proposals and plans that can be found using the search bar). Wal-Mart was once slated for Lansing. The most outlandish serious proposal goes toward a city-sponsored urban renewal plan proposed for Collegetown in 1968. The project would have tore down the heart of Collegetown, and in its place put up an eleven story office building, and 6 to 8 high-rise apartment towers (total 375 units), the tallest being 18 to 21 stories. It also would have included a 600-space parking garage and retail venues. It’s sort of like “survival of the fittest”. The projects with the most stable funding, and the strongest proposals, tend to win out. Some projects are clearly underway, some go through revisions, some will remain pie-in-the-sky. I do, however, look forward to as many of these projects coming to fruition as possible. Now, a part of me was tempted to write something up about a Cornell fraternity that just was thrown off campus for “sexually humiliating” hazing…but then, I realized I’m too far out to care for the stupid crap of the current crop of students. No matter how absolutely, unfathomably asinine it is. Stay classy TEP, it’s a miracle your trashed house didn’t collapse first. So onto something that catches my interest in a more positive way. I have to issue a slight mea culpa on this, because the news regarding the Purity Ice Cream project has been floating around for a good six weeks already. 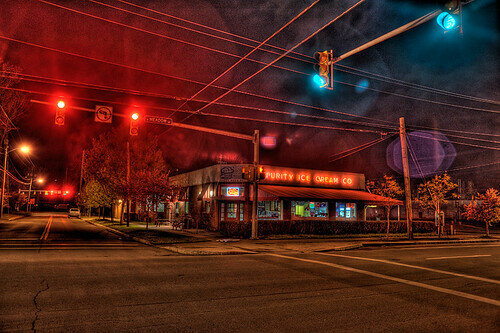 For those who have yet to experience it, Purity is a fairly well-known local ice cream company, in operation since 1936. The current building, a rather plain one-story brick structure, was completed in 1953. Of note and of particular relevance here, Purity is in a high-traffic but fairly low density area, on the Corner of Meadow and Cascadilla Streets, west-northwest of downtown. In what I would describe as a rarity for Ithaca, I don’t believe I’ve ever taken a photo of the store. Thank Heaven for aerials and Flickr. Purity’s parcel is outlined in red in the above image from Bing Maps. It lies on the cusp of low-to-moderate density residential district (Northside), part of a small commercial district of mostly retail and warehousing. So it lies quite a ways outside the traditional dense clusters of development. The plans are still pretty conceptual at this point. The owners, Bruce and Heather Lane, seek to keep the original structure and build vertically; rental office and retail space on the lower floors, with 13 to 26 1 and 2-bedroom apartments on the third and higher floors. The facade, in keeping with the original structure, will be brick. The number of stories is to suggested at 4-5, but the first floor would have 16′ ceilings, so it would be fairly likely to top out around 60′, and the new building would be a visual focus point in the generally low-rise neighborhood. Although the area is less built up than some other parts of the city, the owners are seeking to tap into new urbanist concepts, touting the walkability to Greenstar and the Waterfront Trail. The goal is to get the project underway in fall 2013, and the ice cream store will remain open throughout the duration of construction. A structure like this would have a 12-to-18 month time frame. Not all of the structure would be saved, as the manufacturing space for the Ice Cream would be eliminated; but then, Purity has contracted out the ice cream manufacture to Byrne Dairy since 2006. It seems it would be a loss of underused space at worst. Now here’s the consequence of my inattentiveness; the rendering is missing. I can come up with some ideas, since John Snyder Arch. is in charge, and they’ve been prolific in the area as of late (their flavor of choice being geometric forms/ modern design). But even with that knowledge, and knowing it was just a sketch plan, I would have liked to have seen the render. But unfortunately, it is missing from the IJ and its sister pubs, and even the article has been deleted (at least there were cached versions; but those did not have the render). Granted, it’s not like I’d be able to post it anyway, given the whole paid subscription thing. But, as the project continues to evolve over the next couple of months, I will attempt to stay on top of this for once, and post a rendering as a soon as a free version becomes available. Update 1/17: And in fact one has, from Google image search. Sweet. Pun intended. I wonder if you can comment on the number of new apartments being built in Ithaca from a historical perspective? It seems like there are many coming online but I don’t have a long enough perspective. As a matter of fact, I had obtained this info several months ago for reference, from a report given to the DIA by the Danter Company regarding the Ithaca housing market’s trends, needs and projections. But I had never made much use of that data until now. Even to the casual observer, there has been an uptick in construction around and about the Ithaca area as of late. As the metro has expanded a little over 5% (~5,500 people) in the past decade, some growth is to be expected. The Ithaca market (mostly defined as Ithaca city/town with some parts of Lansing) is believed to be capable of absorbing about 1,350 units over the next five years, 25% owner-occupied (most likely condos) and 75% rental units. 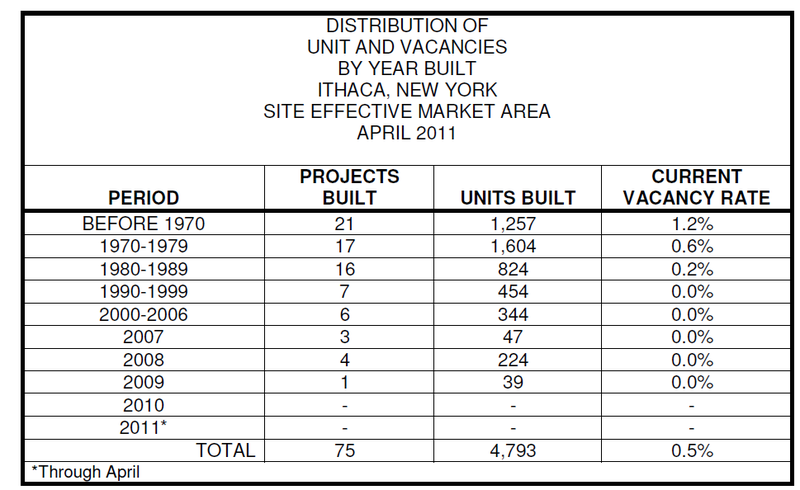 As of April 2011, there were 4,793 units in 75 developments (5 others with 270 units of subsidized housing are excluded from analysis). 49% of all those units are occupied by, no surprise, students at IC or Cornell. Borrowing a table from the report itself shows the number of multi-unit projects built within Ithaca proper, broken down into separate time periods. So, adding up the 2000s gives 654 units 14 projects. This is a substantial increase from the 454 units built in the 1990s, but somewhat less than the 824 units in the 1980s, and less than half of the 1,604 units built in the 1970s. For the curious, the project built in 2009 was INHS’s Cedar Creek on the west side of the city. West Hill accounts for over half of the new multi-unit housing built in the 2000s, with Overlook at West Hill (128 units, 2006), Linderman Creek (128 units in 2 phases, 2000/2004) Cayuga View (24 units, 2005) and Conifer Village (70 units, 2008). Collegetown also makes up a small portion, with projects like 407 College (25 units, 2006) and Coal Yard Apartments Phase I (10 units, 2007). Collegetown Terrace (U/C; usually defined with “beds”; but in terms of units, the construction company in charge suggests 246 units, but that may just be one phase). EDIT – 610 units. That’s…a lot. Collegetown Crossing (in review, 60 units). So in the Ithaca area proper, in a span from 2011-2016, I’m estimating at least 1,415 units in 20 projects. This assumes the townhomes with the Vine Street Cottages and Holochuck Homes projects are not rentals (and not included in this tally), excludes the several hundred units of housing planned in the town of Lansing (town center, Village Solars, etc.). Also, Ithaca Gun and its 45 units are not being included until that project leaves limbo. So to answer Steve’s question- Ithaca is running well above average, and is on a pace not seen since the 1970s. Quite the uptick indeed.